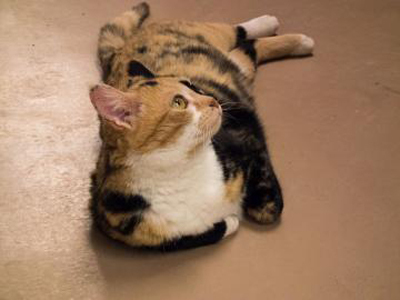 Meet Stormy, a 1 year 7 months old female Domestic Shorthair/Purebred at Rochester Animal Services. Stormy is a very talkative solid gray female who wants to be the center of your attention. She loves lots of scratches and gives head-nudges and meows to tell you she wants more! Stormy would liven up your life by "helping" with all those little chores around the house. June is Adopt-a-Cat month so cats under 8 years of age are half price and cats over 8 years are free. 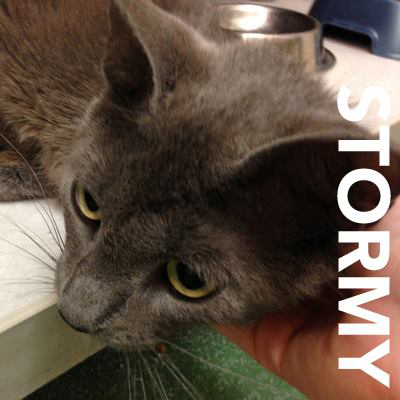 Meet Stormy at the RAS Center at 184 Verona Street, downtown Rochester. Eliza #19076943 - Eliza came to Lollypop Farm because she needed surgery her family could not afford. That's all taken care of but now Eliza needs a new home. Eliza has been supervising the humans in the Administrative offices because the cattery was a bit much for her while her medical issues were being cared for. She's an expert lap warmer and very into being petted. She is not, however, a fan of other cats so we'd like her to be an only cat in her new home. Come meet her at Lollypop Farm. You can ask to meet her at the adoption desk and she'll be right down!